AmaWaterways has announced plans for a new concept of luxury river cruise ship that will feature an open water sports platform, multiple dining options, larger staterooms and eco-friendly engines. 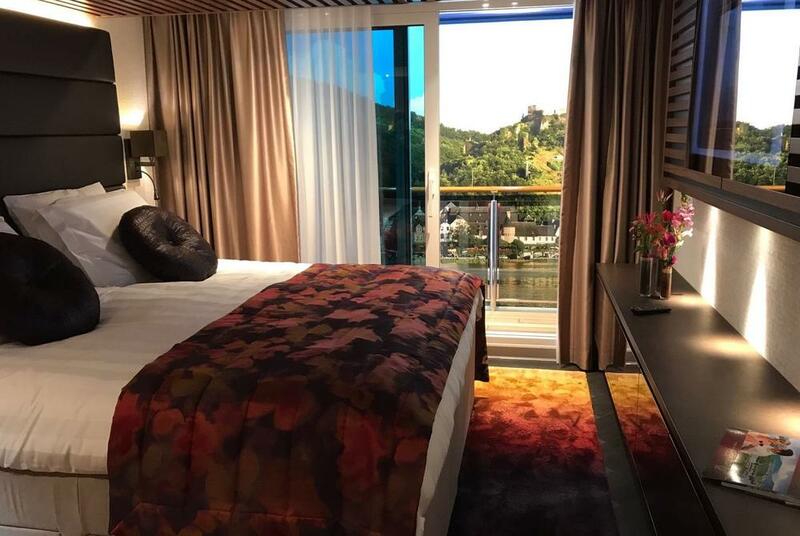 AmaMagna will launch in 2019 on the Danube river, and will be Amawaterways largest ever ship, at twice the width of traditional European river ships – some 22 metres wide. 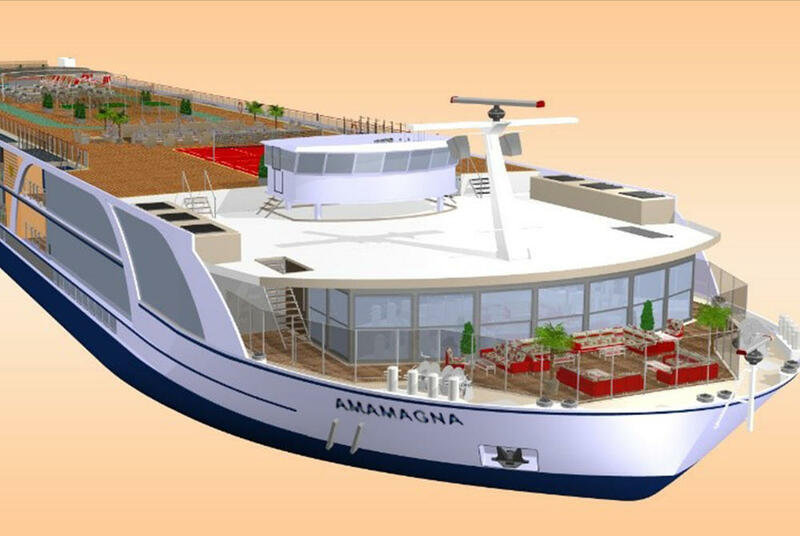 AmaMagna will accommodate 194 guests and will offer luxurious living spaces, multiple dining options, an al-fresco glass-enclosed restaurant, more onboard activities, enhanced evening entertainment, a fuel efficient engine and – a first for river cruising – an open-water sports platform, complete with zodiac boats, canoes and recreational equipment. 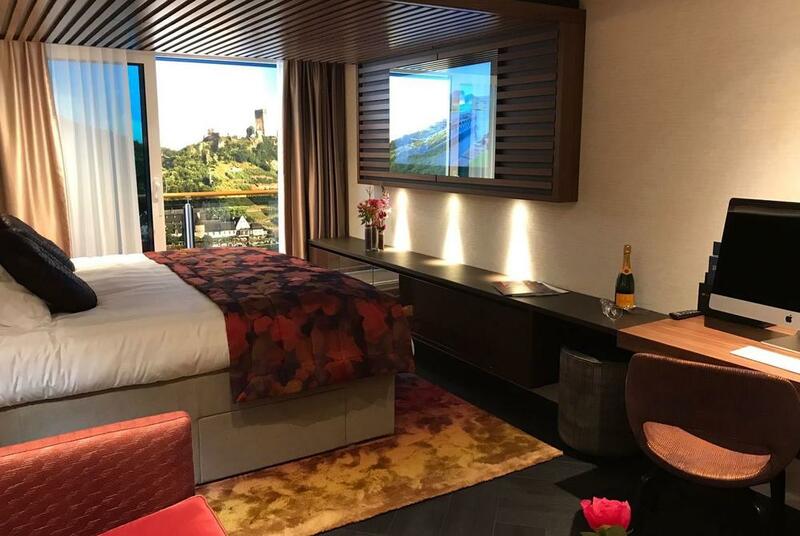 AmaMagna will feature 98 standard staterooms – the majority of which will be over 300 square feet, some of the largest in river cruising, plus 4 suites and 1 Ama Owners Suite. Additional amenities include a large heated sundeck swimming pool with whirlpool and sky bar, a spacious spa area offering new treatments, a fitness room large enough for small group classes and generous common areas designed to accommodate a variety of onboard events. The new ship will also boast a quieter and more fuel efficient hybrid engine, offering fuels savings of up to 25 percent. Just out of curiosity how will Amamagna tackle the locks? Thank you for your question - There are a number of locks along the Danube that are 24 m wide - so the ship will be restricted to sailing the Danube. The Crystal Mozart is currently sailing on the Danube and is also 22 m wide - however the AmaMagna will be slightly longer.